The official weigh-ins for “UFC Fight Night 90: Dos Anjos vs. Alvarez” took place Wednesday inside T-Mobile Arena in Las Vegas. 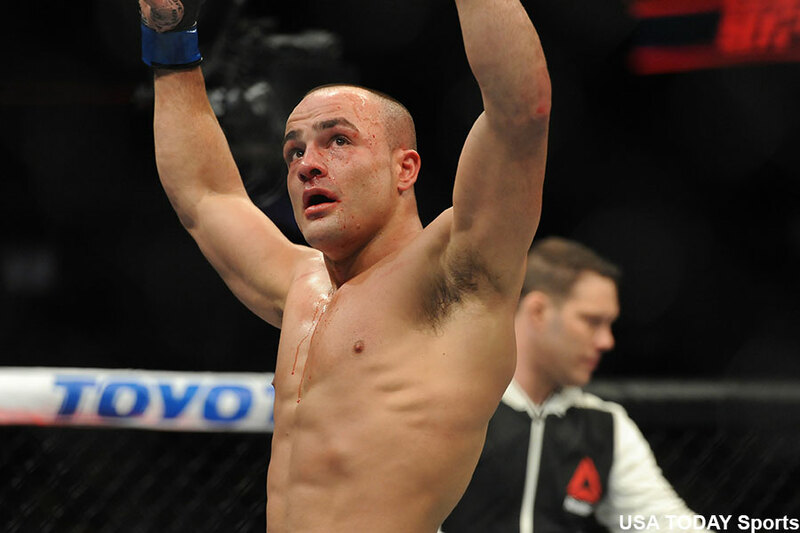 Former Bellator lightweight champion Eddie Alvarez (pictured) challenges UFC lightweight champ Rafael Dos Anjos for his crown in tomorrow’s featured bout. A heavyweight shootout between Roy Nelson and Derrick Lewis meet in the co-main event.